Dr. Frederick Snoy, MD. FACS is an Urologist certified by the American Board of Urology. He has been in private practice in Albuquerque, New Mexico since 1985 when he completed his urologic residency at the University of New Mexico. Dr. Snoy is a graduate of Indiana University School of Medicine. He holds a MS from Indiana State University and a BS from Regis University in Denver, Colorado. 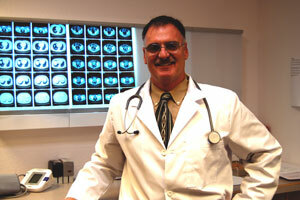 Dr. Snoy is originally from Indianapolis but has been living in New Mexico since 1980. Dr. Snoy is a general urologist, and has special interest in oncology, particularly prostate cancer, stones, incontinence, and impotence. He developed an interest in clinical research in residency and can offer a varied number of clinical research studies. This provides patients with an opportunity to try newer medications that may not yet be available to the general public. These studies also help other patients who are in need of newer medication alternatives. Through these studies Dr. Snoy has helped bring many of the medications now available to urologic patients through the FDA approval process. Please click here for Dr. Snoy’s Curriculum Vitae.